There are many reasons for learning and developing your ability to swim the three other competitive strokes in swimming. If you are well-versed in freestyle technique and looking for new ways to spice up your training, improving your breaststroke, butterfly and backstroke is a good place to start. Just like I mention in my how-to article on flip turns, focusing on other-than-freestyle strokes won’t suit every swimmer, and in fact it should not be a focus of a swimmer who is still developing freestyle technique. A little time spent working on the other strokes (backstroke, breaststroke and butterfly) will help your training, your enjoyment of training and its usefulness immensely. With the other strokes at your disposal, training sets will become infinitely more variable and interesting. These other strokes are especially of use during a post-main set swim down to help relax the shoulders through a different range of motion after a big freestyle block. Adding in other strokes can also be helpful during long swims sets, for example during a 400 meter swim set. It can pass the time while also helping you continue to concentrate on your form. It will also elevate your heart rate as you switch between muscle groups and focus on maintaining forward propulsion through different pathways of the hands. Most importantly, finding propulsion through other similar hand pathways can heighten your overall feel for the water, thereby increasing your power and speed during freestyle swimming. *Rest between 100m blocks if necessary but ideally swim it straight through. Your overall feel for the water will improve as you work on new pathways of the hands when attempting the other strokes. The risk of overuse injuries will also reduce as the new movements from the other strokes redistribute the workload of the arms and shoulders. 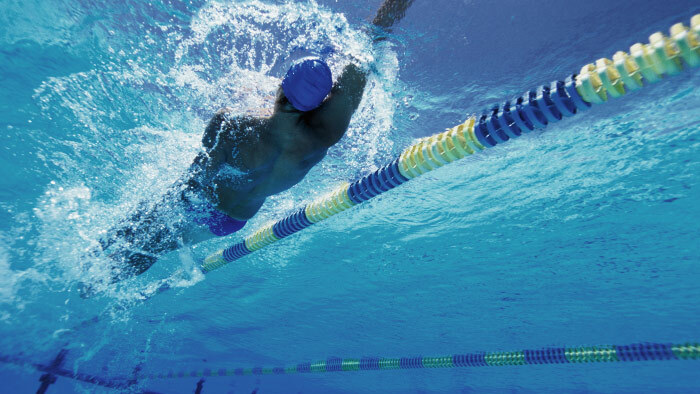 At the very least, adding backstroke to your swimming would be a great addition to your stroke repertoire. Backstroke is a natural stroke to use to help unwind the shoulders from the vast amounts of freestyle we swim as triathletes. It also helps build aerobic fitness, which is very useful if you are still getting the timing and breathing patterns in place on your freestyle. Try swimming alternate 25m lengths within a 200 as freestyle and backstroke to generate a natural fartlek swim, which will allow you to relax a little more on the freestyle while naturally working a little harder on the backstroke. This is because the kick and core work is greater during backstroke because of increased drag due to the position of the head and lunges compared to freestyle. For a few years now we have been incorporating other strokes to our triathlon fitness swim sessions for those at the right stage of their swimming. These medley alternates are promoted as a kind of cross training, which has helped our swimmers come on to the idea very quickly. The following video is a rundown of drills derived from the other strokes, which you can do without having to completely learn the other stroke and still receive the benefits to your freestyle. Breastroke arms with freestyle kick: This is a nice variation for practicing a continuous leg kick. The first part of a breaststroke pull is also similar to the way we scull the hand into the freestyle catch. It is optional to wear fins, but it can help with your kick. Double-arm backstroke with a pull buoy: A great way to stretch the shoulders and chest muscles through a different range of motion after a lot of freestyle. Freestyle arms with butterfly kick (we call it tri-fly): A tough one to perfect because it takes a lot of concentration to master the timing and coordination. Swim 4 sets of this 375m set. The first is fly (as written above), then complete doing back, breast and freestyle for a total of 1,500m. If you don’t have time to commit to learning how to do the other strokes, then you can use the medley alternate sets above as alternatives to freestyle. Adding medley sets to your sessions will introduce great variety and interest to otherwise fairly mundane swim sessions. I promise you your time in the water will pass a lot more quickly as you have to pay attention during the changeover between strokes and focus on the techniques needed. The heart rate elevating qualities of medley sets will also give you a better workout overall, while adding in the benefit of reducing the amount of stress to your shoulders.